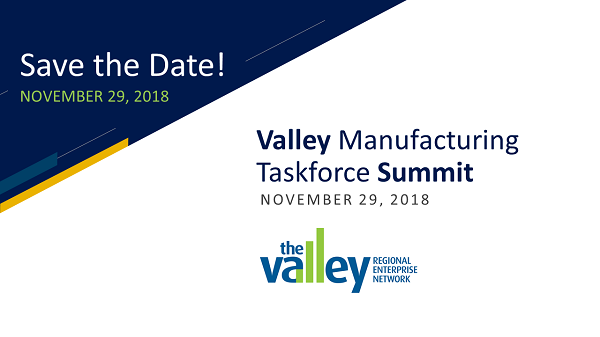 On Thursday, November 29, the Valley REN will host a Valley Manufacturing Taskforce “Summit” to report on our survey findings and site visits and present an action strategy. Manufacturers will nominate Work Group leaders and teams to lead the action plans. We’ll tell you the location and exact time soon. Please save the afternoon in your calendars.